All three of our whisky tasting groups in Mumbai have WhatsAp groups to informally exchange updates, insights, ideas, teasing and more. Now I don’t know about you, but I have no ambitions of being an expert. Neither do I want to spout “cookie cutter” impressions of a whisky. What I enjoy most about tasting solo and with others is the journey of discovery. How an aroma reminds us of something else, evoking a memory, another context, another experience. My nosing and tasting references also fluctuate wildly from early days in Canada to a long term sustained relationship with India, with a few dash of many other countries influences too. My first introduction to a kit was in Winnipeg at the Whisky Bar where I was too engrossed in my whisky to want to mess it up sniffing a sample of ‘decay’. My next opportunity was at a fellow whisky adventurers home, which began with a guessing game – sniffing “blind” to see if we could figure what it was supposed to be. 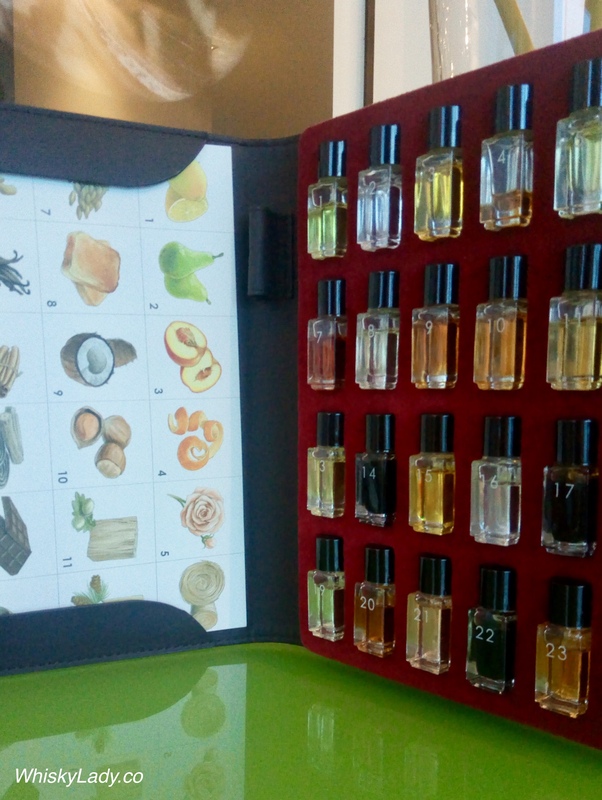 Since then, has that same kit been pulled out, used to hone our skills at recognizing different aromas? No, We’ve just gone back to our original style of simply sniffing and discussing without referring to an aroma kit. So much for using it to train us into experts! Scotch Addict on ‘Are Whisky Nosing Aroma Kits Worth it? This entry was posted in Whisky General and tagged #WhiskyTips, Aroma Kit by Carissa Hickling. Bookmark the permalink.